So it's nearing the start of spring and we're wanting to get back outside! After a long winter is your outdoor area looking a little worse for wear? If it's anything like ours, it hasn't had much use in the past 4 months and could do with a bit of a tidy up! Here in Australia we have gorgeous summer weather and long evenings, encouraging us to enjoy our backyard, patio, courtyard and verandahs (or decks). These places, sometimes referred to as "al fresco" areas, are such an important part of our home, we should give them just as much thought and attention as the interior. 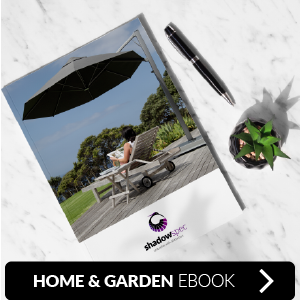 Here are some design ideas to consider and pit-falls that you should avoid if you're thinking about making some renovations to your outdoor space this summer. The hot sun can be unrelenting anywhere in Australia - especially if you don't have shade! No one can handle being out too long in the heat of the day, so paying attention to shade covering for your outdoor area is a must. There are many different types of shade, read more on our blog for information on how to make the best choice for you. Giving careful thought to the shade layout can add a lot of value to your home. Get the free service of a shade layout plan from Shadowspec using our shade umbrella and awning systems. The balance of your outdoor area is important. Too much paving or concrete can make the space seem uninviting or cold - and all outdoor spaces need a touch of nature! It's important to get the ratio of greenery right so your al fresco area is a comfortable place to be. There are a number of ways to add these touches, from floor planters to hanging herbs and flowers. Be mindful to research the type of plants you can use, thinking about what will grow in your soil or with the correct amount of sunlight. Layout needs to be considered in order to make the most out of your space. Think about who will be using the area and what you will be doing with it. Will children use your backyard? Do you require fencing? Are you planning on using it for outdoor entertaining? Where will you find your shade? Ask yourself these types of questions to help ensure the space is laid out in a way that is functional for you. Repairing messy or stained areas with peeling paint and distressed wood is an easy job that can make all the difference to your house. Doing a tidy up come summer, whether it's just a new stain on any wooden areas or lick of paint, is a cost effective way to update your space and make it a more appealing area to use. Think about what you could do to give your outdoor area a mini-update for the summer months. 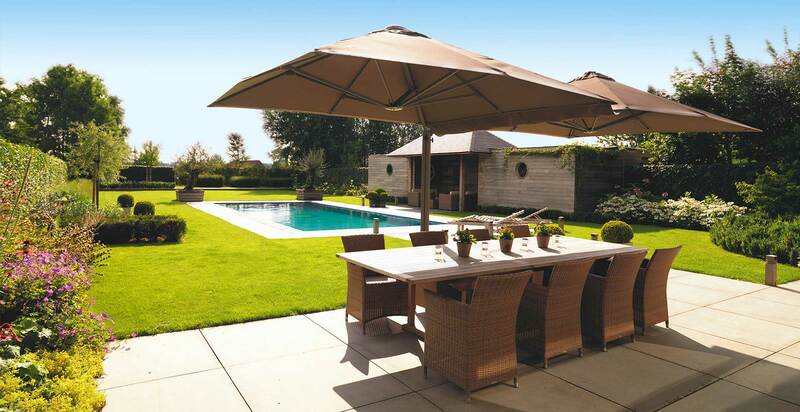 Shadowspec shade umbrellas and awnings are a great way to add something extra to your space and are made using premium 'sunbrella' fabric, which resists fading and looks great for many years. If you are using your outdoor area during the evening or want some overflow space for dinner guests, lighting needs serious consideration. Poor lighting will discourage use of any outdoor area and make it an unwelcoming space to be in. Adding lighting is a very cost effective way to update your space, even simple strings of fairy lights can make a huge difference to the overall ambience! Alternatively you can get lighting options with your outdoor umbrella, feel free contact our team to discuss these. 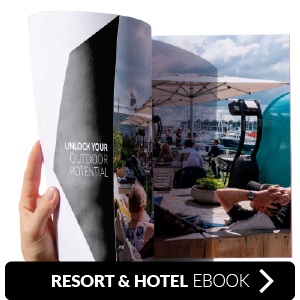 Read more about how to maximise your outdoor area by clicking here. At Shadowspec, we are your outdoor shade umbrella & awning specialists, helping you plan your outdoor area - no matter what your needs.